Boris joined Watsi on September 8th, 2014. Four years ago, Boris became the 300th member to automatically support a new Watsi patient every month. Since then, 4,786 more people have become monthly donors! Boris' most recent donation traveled 8,700 miles to support Ebeneza, a toddler from Tanzania, to fund clubfoot repair. Boris has funded healthcare for 55 patients in 11 countries. Godsgift is a baby from Kenya. To earn money, his father works on construction sites and his mother mends clothes. They have six other children as well. When Godsgift was born, he was diagnosed with hydrocephalus, a condition that causes cerebrospinal fluid to accumulate in the brain. He was referred to our medical partner's care center for treatment. Without treatment, he will experience developmental delays. Fortunately, Godsgift is scheduled to undergo brain surgery on January 29. The procedure will cost $634. Thon is a rice farmer from Cambodia. She has one daughter. She likes to spend time at home and watch TV when not working. A year and a half ago, she developed hip pain on her left side. She was diagonsed with avascular necrosis, which is the death of bone tissue due to lack of blood supply. Fortunately, Thon learned about our medical partner, Children's Surgical Centre. At CSC, surgeons can perform a total hip replacement to relieve Thon of her pain and allow her to walk easily. Treatment is scheduled for November 7, and Thon needs help raising $1,025 to pay for this procedure. She says, "I hope I have no more hip pain and I can walk on my own after the surgery." Rosenie is a young woman from Haiti. She lives with her older sister and her husband in Port-au-Prince. Rosenie has a cardiac condition called Tetralogy of Fallot. This condition involves several related defects including a hole between two chambers of the heart, and a blockage in one of the heart's valves. Rosenie will fly to the United States to receive treatment. On November 9, she will undergo cardiac surgery, during which surgeons will close the hole in her heart with a patch, and remove the muscular blockage. Another organization, The Heart Hospital Baylor Plano, is contributing $45,000 to pay for surgery. Rosenie's family also needs help to fund the costs of surgery prep. The $1,500 bill covers labs, medicines, and checkup and followup appointments. It also supports passport obtainment and the social workers from our medical partner, Haiti Cardiac Alliance, who will accompany Rosenie's family overseas. 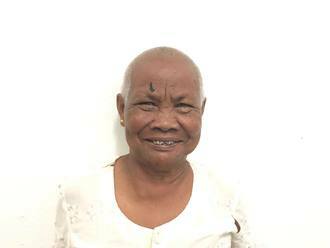 She says, "I am very happy to have this surgery so that I can have more energy and stop worrying about my heart." Rashid is a farmer with a large family from Malawi. He lives with his wife, and together they have eight children and more than 20 grandchildren. Since last month, Rashid has been experiencing pain and coughing. These symptoms are caused by an enlarged prostate, a condition called benign prostatic hyperplasia. He needs to undergo a prostate resection surgery, a procedure in which surgeons will remove part of the enlarged gland. Our medical partner, World Altering Medicine, is requesting $733 to fund Rashid's surgery. On September 6, he will undergo prostate surgery at Nkhoma Hospital, our medical partner's care center. The requested money pays for supplies, medications, and two weeks of hospital stay. He says, "I am accepting this help with both hands open; I am ready to have the operation and return to good health! Thank you!" 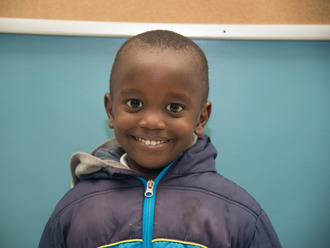 Andrey is a young boy from Kenya. He is the only child to his single mother. The family of two lives in a rental house in central Kenya. Andrey's mother works as a sales agent in a local company and earns just enough to meet their basic needs. Andrey was diagnosed with cryptorchidism, a condition in which one or both of the testicles remains undescended. If left untreated, Andrey has an increased risk of developing hernias, testicular cancer, and fertility problems in the future. Andrey will be receiving assistance from our medical partner, African Mission Healthcare Foundation (AMHF). Fortunately, he is scheduled to undergo corrective surgery on August 6. AMHF is requesting $535 to cover the total cost of his procedure and care. “I hope Andrey gets treated so that it does not affect him adversely,” says Andrey’s mother. Bryson is a young student from Tanzania. He is a very friendly boy. Unfortunately, he has clubfoot of both feet. Clubfoot is a condition in which the foot is twisted out of shape. This causes difficulty walking and even wearing shoes. Fortunately, Bryson traveled to visit our medical partner's care center, AIC Cure International Hospital. There, surgeons will perform clubfoot repair surgery on July 9. Our medical partner, African Mission Healthcare Foundation, is requesting $890 to fund Bryson's clubfoot repair. After treatment, he will be able to walk easily. His guardian says, “Bryson is such lovely boy and I wish I could help him more with his condition but I don’t have the power." 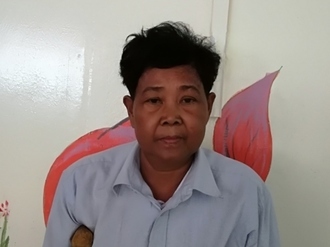 Vorn is a rice and potato farmer from Cambodia. She has one son and five grandkids. She likes to watch the news, thai films, and listen to monks pray on the radio. 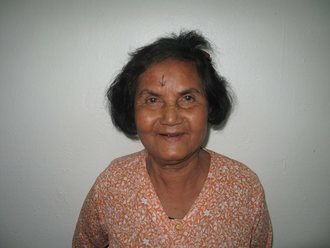 Six years ago, Vorn developed a cataract in each eye, causing her blurred vision, irritation, itching, and photophobia. She has difficulty seeing things clearly, recognizing faces, and going anywhere outside. When Vorn learned about our medical partner, Children's Surgical Centre, she traveled for four hours seeking treatment. On June 4, doctors will perform a small incision cataract surgery and an intraocular lens implant in each eye. After recovery, she will be able to see clearly. Now, she needs help to fund this $398 procedure. She says, "I hope I can see everything clearly so I can do my work at home and go anywhere outside by myself."